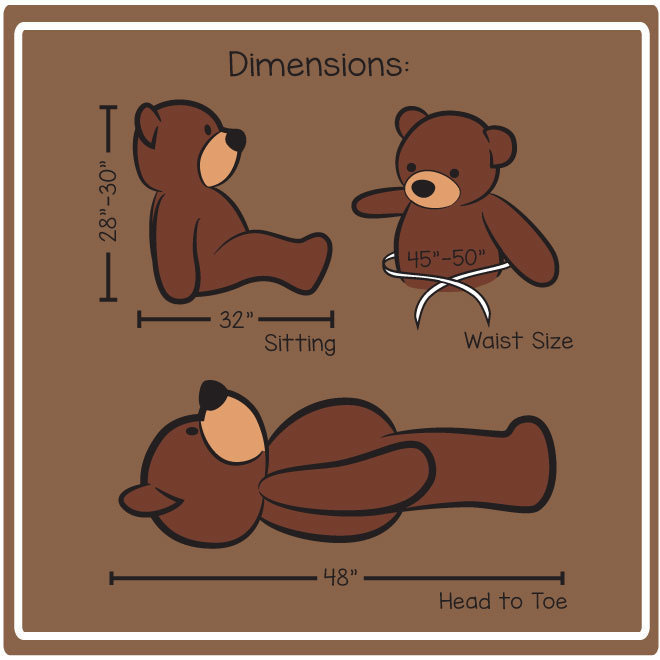 Shaggy Cuddles is a huge life size 4ft (48in) and he’s the perfect Valentine’s Day teddy bear for someone you love! Shaggy has super soft and cuddly light amber brown fur that makes him extra huggable. He has warm brown eyes, a soft black nose, and he’s adorable in his special bow tie. He even has a heart pillow for your sweetheart. The bear is really really soft plus it brings a pillow that’s detached what else do you need !! !